Happy New Year Everyone. The New Year is finally here. That means you will be getting bombarded with the long parade of weight-loss offerings. Here’s what you need to know to protect yourself against weight-loss offerings that don’t deliver and waste your time and more importantly, YOUR MONEY. Let’s see some of the things that you may have tried in the past? Programs like Weight Watchers, Unislim etc. Studies have shown repeatedly that although exercise is important, without nutritional control you will not be successful with your weight-loss goals. You’ll often here me say, “you can not out-train a bad diet”. The problem is when we cut our calories too drastically we slow down our metabolism and all the processes in the body. The body does not know the difference between drastic voluntary calorie restriction and starvation. Also, highly processed foods disable our natural satiation mechanisms. So, we need to find a way to consume and track lower calorie whole foods that are easy to incorporate into our lives. declines. We cannot make ourselves get any younger but we can slow or even reverse our declining metabolic rate by adding muscle. We do this by incorporating resistance training. Not only does this speed up our resting metabolic rate (we burn more calories at rest or the “after-burn effect”) but it also helps us to feel stronger, helps our moods, helps us have a sense of wellbeing and helps prevent osteoporosis along with many other great benefits. Feeling strong feels good! Cardio/Interval Training this is where we burn excess calories. If you’re doing traditional steady cardio for longer duration you’ll burn more calories while you are exercising, but not much after you’re done. Interval training is a great option. Although you may not burn as many calories while you’re training, you will burn more calories in the hours after you have trained with this shorter duration/increased intensity exercise training. If weight-loss is the goal, it is best to have a combination of traditional cardio and interval training incorporated into your weight-loss program. Unfortunately 98% of all self-directed weight-loss programs FAIL. The main reason is people try to change too much too fast. But if you focus and work on changing one habit at a time, you have a 76% chance of being successful in changing that habit. If you try to change two habits at the same time your chance of success drops to 35%. Most people approach the New Year and New Year’s resolutions with a kamikaze, 100% or nothing mentality. But just like sprinting, you cannot give 100% long-term. So within one, two, or maybe three weeks after the New Year, most resolutions are dropped and forgotten about until the next year or until that “I’m fed up with being fat” feeling comes back again. And then it is like Groundhog Day every time one wants to lose weight…they start a new diet and start completely over again. Are you a yo-yo dieter? Fun! As complicated as we think we are, anything we do or don’t do is done for only two reasons. Not 100, not 50, not 10, not 5…but only two reasons. The reason you do or don’t do anything is either to gain pleasure or to avoid pain (or some combination of the two). It really comes down to just that. So, if you’re going to be successful with a weight-loss program or fitness program it needs to be FUN! Hopefully it has a social element where you can find people that you have things in common with, where you can make friends, and even do other things together, be it online or in person (or both). With our Private Facebook Group, Why Weight Ireland® Studio and direct support from Why Weight® Support, you can do just that. So, whatever weight loss solution you choose to go with over this next year, remember it should include nutritional control, resistance training, cardio/interval training, and have habit-based coaching to help you take one step at a time. And above all it needs to be fun – help yourself and remove the stress and pressure of ‘dieting’. 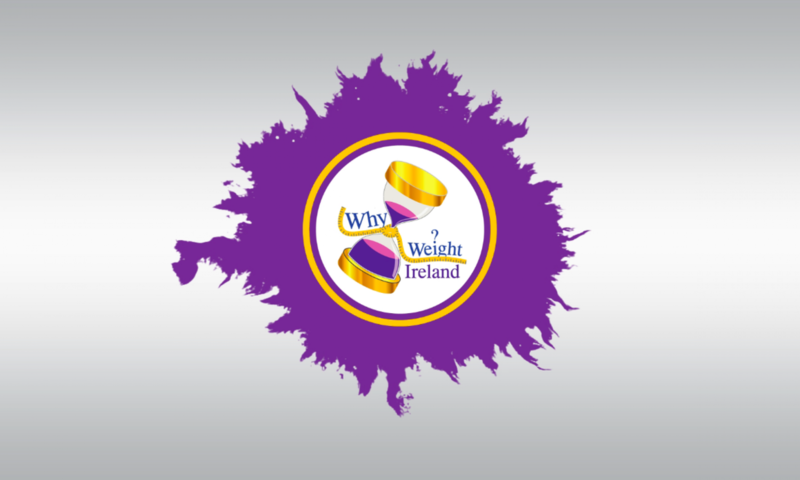 Why Weight Ireland® offers all of the above, and more. Each member gets access to the amazing food and exercise diary which will help you with your nutritional control, member’s receive their very own personal and tailored fitness plan which consists of aerobic, cardio and resistance training to get the most out of your weight loss plan. Along with these you get access to our fab Why Weight Ireland® Private Facebook Community page where you can chat with like-minded people who are all offering support, encouragement and motivation to help you succeed and we also have challenges popping up every now and then. Most importantly you also get full personal email support 7 Days a week – any questions, advice or just need to talk, you just have to drop us an email and we will respond to you personally and as soon as possible – No robotics emails or answers. The Why Weight Ireland® weight loss & fitness plan is all about having fun, remove the stress and pressure of having to ‘diet’. Our ethos is “everything in moderation” and weight loss should not be a painful chore but part of your healthy lifestyle change. As our slogan says, ‘it’s not just a diet, it’s a new way of life’. Over time, Why Weight Ireland® will try and make weight loss failures in Ireland a thing of the past, so to be part of the new trend look at Why Weight Ireland to be your weight loss & fitness partner for 2017. Lastly, and probably most important is, Why Weight Ireland is an INDEPENDENT and home grown business. I began the business from a little idea and have grown it to an award winning business – THANKS TO YOU.